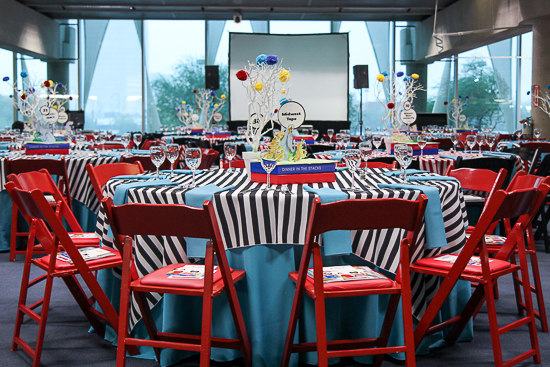 I had the awesome opportunity to work with the Phoenix Public Library Foundation & Friends of the Phoenix Public Library on their annual fundraising dinner, Dinner In The Stacks. 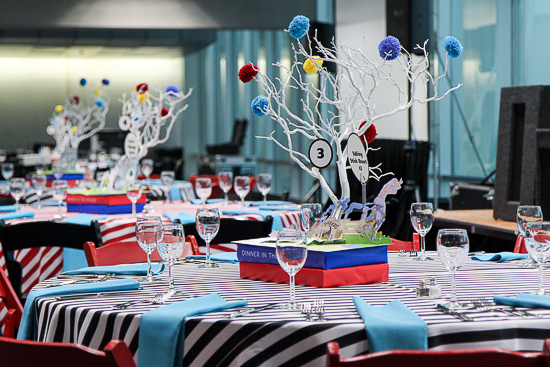 When I learned that this year’s theme was Dr. Seuss, I thought to myself, “You don’t have to threaten me with a good time”! After proposing three visually inspiring ideas, the committee decided on doing two of them per table. 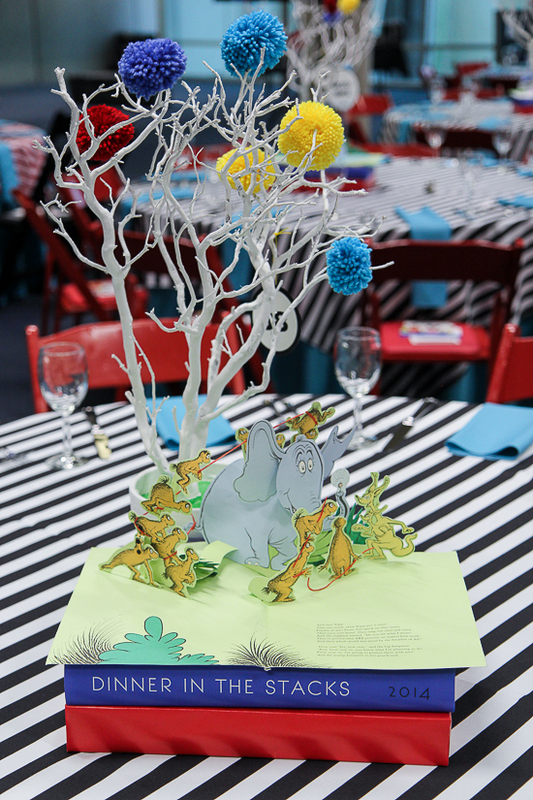 The Lorax and Horton Hears a Who popup displays and truffula inspired manzanita trees filled the space with so much whimsy! It’s was a slight shame this party was for adults only (however, the funds raised benefit children)! Luckily the kids who were visiting the library did have the chance to pop by and “oh” and “ah” during setup. My poor kids felt so teased by all the Seuss madness going on around them during the “Don’t Touch a Thing!” construction phase. I think I will make it up to them by planning a double Dr. Seuss birthday party for my youngest two. Stay tuned!